NIMHANS Recruitment 2017: National Institute of Mental Health & Neuro Sciences has come up with the latest notification. Here they have released the employment notification for the job seekers. They had published the notification for the recruitment of the Junior Research Fellow, Training Coordinator posts. So enthusiastic candidates can search the entire details at the below. So After fulfilling all the applications, you can download the application form through online mode only. The application form is available on the official site till the last date 16-08-2017. So the registered candidates can attend the walk in interview on 22-08-2017. some of the required additional qualifications are mentioned detailed at the below page. So also search for the latest govt jobs here. NIMHANS Notification 2017: has been announced on the web page. Who is showing interest towards about this NIMHANS recruitment 2017 they can search for all the details on many sites. But in order to reduce the stress, we have mentioned all the information in the single page. The organisation strictly mentioned that they are accepting the online applications through online mode only. no other modes are not considered. We request candidates should carry all the required documents followed by the admit card. Otherwise not allowed. The organisation is ready to recruit the capable and the dynamic candidates. Coming to the selection process based on the performance in the interview only they will select the candidates. 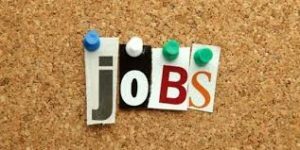 NIMHANS Job Vacancies 2017 has been announced here. The candidates who have completed the MPhil in Neurophysiology/ Neurosciences with NET qualification are the eligible candidates. for the Junior Research Fellow, the maximum age limit should be 28 years. for the next post, the maximum age is 40 years. We request candidates will be there in on time at the given venue. For more details or queries you can get the latest information on the official website. we have given the free download links at the given below. So you can apply online directly with out any confusion. So keep visiting our site regularly for more updates and notifications. Age Limit: Candidates age limit should be maximum 28 years for the post of Junior Research Fellow. for the post of the Training Coordinator, the maximum age limit should be 40 years. Educational Qualification: Candidates should have completed the MPhil in Neurophysiology/ Neurosciences with NET qualification from the recognised University is the desired qualification. for more refer the official notification at the below. Selection Process: based on the performance in the interview they will select the capable candidates. Open the Official website, www.nimhans.ac.in.